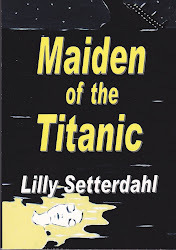 This blog is about my interests, Swedes in America, the Titanic, the Swedes on the Titanic, and my books. If you would like to comment, please do so. 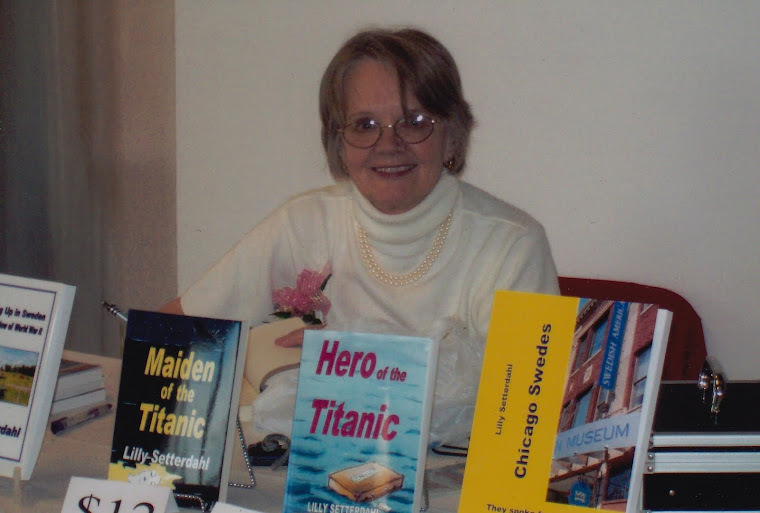 I give programs about the Titanic and other subjects related to my books. 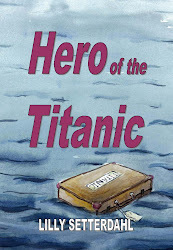 My Hero of the Titanic, first published by the Midwest Writing Center Press in 2011, is now available as an eBook. "Kvinnornas roll i byggandet av Bishop Hill," av Lilly Setterdahl, Sverigekontakt, No. 2 juni 2018. (The women's role in the building av Bishop Hill). My son, Stephan, and I are working on a new nonfiction book, Portraits of Swedish Americans, based on my husband's interviews and portraits taken by him across North America. My Christer has scanned the pictures in high resolution, Stephan is the illustrator and I am writing the texts. It will be fabulous! 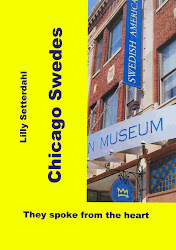 Swedish American Museum, Chicago, will publish this book that has the subtitle: Lennart Setterdahl's Life and Work. Having written many articles in Swedish through the years, I thought it would be fun to see if I could write a novel in Swedish. Well, I started and it's going very well so far. It's fun! 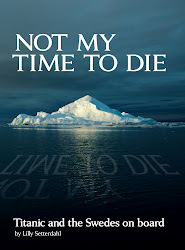 Nordstjernan Förlag, New York, has agreed to publish my manuscript, Titanic Sailing Again, as soon as possible. I just finished reading Katrin, almost American and just loved it. I hope a movie will be made from it. What an information and loving story. My sister, Nancy, bought it from you at Bishop Hill for me at Christmas. Thank you for your note in it. She finished her letter with these words: I loved visiting Sweden. I plan to get some of your other books.